A multi-billon-dollar sale of the US company that made external cladding on Grenfell Tower has fallen through. Arconic had been in talks with several US private equity firms about a takeover worth $10bn-plus (£7.7bn). The company, whose shares tumbled on the news, said in a statement that it did not receive an offer that was in the interests of shareholders. A key issue had been protecting any buyer from liabilities connected to the Grenfell fire disaster in London. The residential tower block blaze in 2017 left 72 dead when flames spread through cladding fitted on the outside of the building. US buyout specialist Apollo Global Management was reportedly front runner to buy Arconic, which also makes aerospace and car parts. He added that the company would continue with a previously-announced sale of its Building and Construction Systems division. Arconic’s shares slumped 25% after Tuesday’s announcement, but later began recovering slightly. 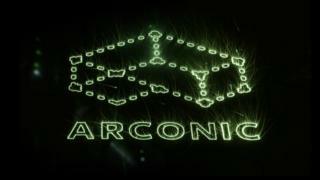 After the Grenfell fire the company faced class action lawsuits in the US from some investors, but as yet there is no indication Arconic with be hit with large damages awards from the UK. However, Bloomberg and the Times reported that buyers’ concerns about potential liabilities was an issue. Arconic, formally known as Alcoa, supplied one component of the cladding for Grenfell Tower, despite tests as early as 2014 showing that it had failed safety tests. The company knew the test rating had been downgraded, but the UK body that certifies building products said it was not told about the change. However, the company has said it did share the rating with “various customers and certification authorities”. In June 2017 the firm said it would stop selling the cladding for use in high-rise buildings, blaming the “inconsistency of building codes across the world”. Although inquiries are continuing, there has been no finding of wrongdoing against Arconic.